2016 has been a busy year in VR for the BBC, as it started to figure out what role the medium will play in its future by releasing a range of 360 and VR projects exploring the boundaries of the new medium. These projects covered a broad spectrum of subjects and audiences, ranging from harrowing experiences like Fire Rescue which tells the story of a Christmas Day blaze from which firefighters saved the lives of six children and the journey of a single mother Trafficked from Nicaragua to Mexico to The Turning Forest (a folkish fairy-tale experience for Google Daydream) and a series of companion 360-degree videos that put viewers next to the documentary crews filming the Planet Earth II series and offered highlights of the Rio Olympics. Our VR experiments this year have enabled us to look at the role the BBC should play at this early stage, raising important questions over how storytelling, pacing, direction, subtitling, sound and picture quality are all affected, says Zillah Watson, executive producer, BBC R&D. 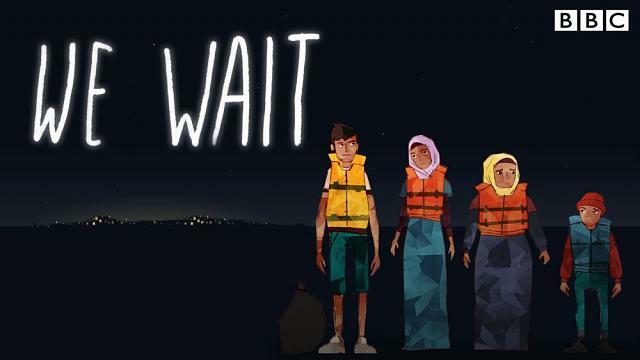 But We Wait is a first for the British broadcaster which saw the BBC Connected Studio collaborate with legendary Bristol-based animation studio Aardman Digital the makers of Wallace & Gromit, Chicken Run, Shaun the Sheep to produce a dramatization of the dangerous journey Syrian migrants take from Turkey to Greece on smugglers boats. 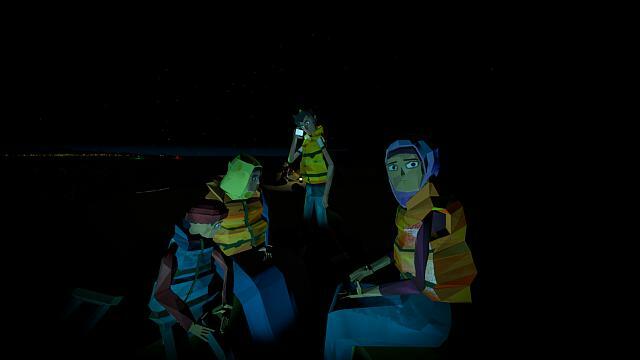 Like many content producers, the BBC is keen to explore the potential of VR as a Storytelling Medium, and the Syrian war and its resulting refugee crisis is a poignant subject that certainly lends itself well to powerful if often uncomfortable levels of immersion. Award-winning films such as Chris Milks Clouds Over Sidra and HOME/AAMIR produced in partnership with the National Theatres recently launched Immersive Storytelling Studio in London are other examples of this. We Wait which is based on real migrant accounts gathered by BBC News begins on a beach in Turkey and takes the viewer on board a boat crossing the Mediterranean. As the name hints, the objective here is to recreate the sense of anticipation and suspense those displaced people feel as they attempt to reach Europe. By putting the viewer at the heart of the story, were offering an immersive experience that would be impossible to reproduce through traditional reporting, they stated in their release today. Watson believes that VR could be a very interesting tool for telling news stories in the future beyond the confines of traditional reporting, something that people like Nonny de La Penna have also been exploring as a way to trigger empathy in audiences. Like de la Pena, Watson comes from a journalism background, working on TV, radio and web as well as documentary filmmaking before moving to BBCs R&D department. We Wait has enabled us to explore how VR can deepen audiences understanding of a topic in a way they wouldnt otherwise be able to experience, and with the film now going live on the Oculus store for the Rift it opens it up to a wider audience as we continue to develop the potential this emerging medium has to inform, educate and entertain. We Wait is now available globally and for free on the Oculus store. Telling stories like this could be interesting for the future use of VR. Yeah, it would be nice if more television companies establish vr divisions to make interesting content for the public.